Each summer, the Troop attends a week long summer camp. Our typical summer camp trip takes us to Camp Friedlander, which is just Northeast of Cincinnati OH. 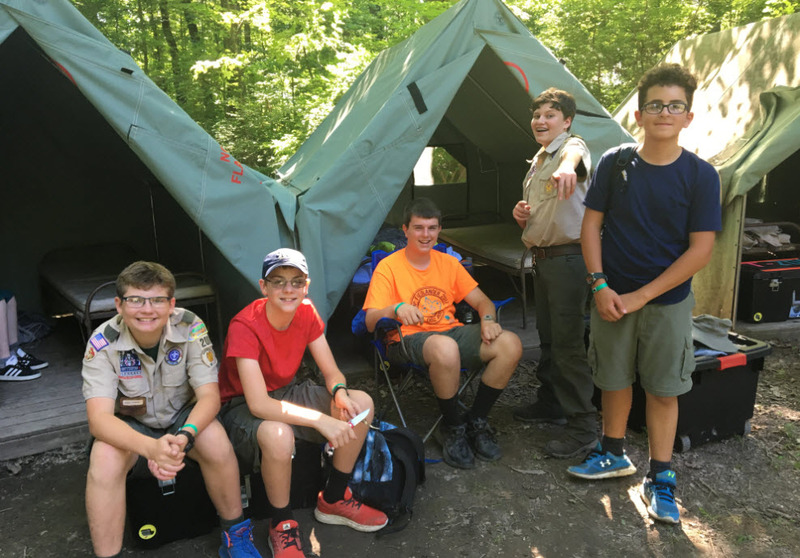 Troop 200 has taken about 120 Scouts to camp Friedlander in recent years! The Scouts love the camp because it has a great water front area, including “the blob”, nicely maintained shooting ranges, a climbing and repelling tower, awesome teamwork and ropes course for the older Scouts and a well stocked trading post. Some of our older Scouts have even taken “seconds” and attended Camp Friedlander more than once each summer! What is Summer Camp like? Watch a video showing us at Camp Friedlander.